Gals, buckle up! 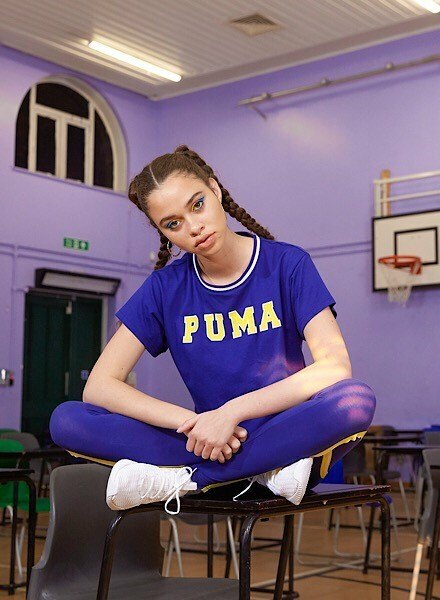 Whether you’re slayin’ the streets or kicking back on the couch, we’re hittin’ ya with loads of new launches courtesy of PUMA’s Collegic collection. What’re you waiting for? Stock up your summer wardrobes and embrace a pop of colour cos they’re bringing all the cuteness, as well as colourways for days! These Logo T-Shirts are bringing major sports day vibes to any summer ‘fit and we just can’t get enough. Keep it comf’ by pairing them up with these Stripe Shorts and grab an eye-catching look by switching it up with different colours. Why not go all out with this sporty blue, matching Top and Stirrup Leggings set?! Whether you’re gearing up for your daily yoga sesh or just fancy a change out of your pj’s while binge-watching 10 episodes of Love Island, keep comfy AND cute no matter where you are. Just look how boss these gals look. A+ for matching eye makeup! Stop what you’re doing and feast your eyes on this Pink Bodysuit. Struggling with what to flex it with? Slay it as an everyday look with these matching Stripe Shorts (aka the cutest co-ord EVER). Grab your bestie, because we’re redefining squad goals. Slay a simple yet statement off-duty outfit with black PUMA sweats. Perfect for the summer months, this Cut Logo Bralette would be perfectly styled with, well… pretty much anything, but we’re crushin’ on these Fleece Pants. Another fave, this Hem Logo T-Shirt Dress is bang on trend right now – so DON’T miss out on flexing a hot style while keeping cool. Catch a little chill as the evenings cool down? Layer up while keeping the style with this Stripe Crop Hoodie – landing in two statement colourways. Like what you see and wanna check out the whole PUMA Collegic Pack? Head right here!